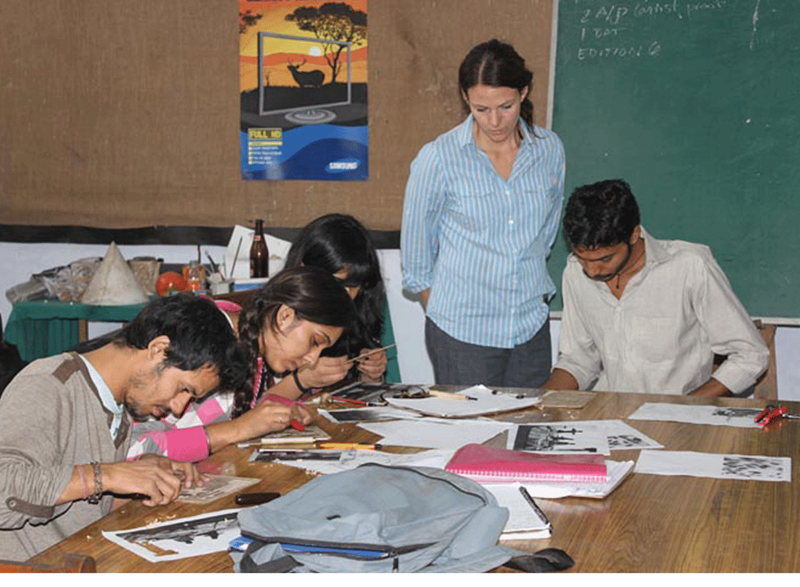 International Institute of Fine Arts,Modinagar is one of the leading colleges providing courses related to visual arts. The subjects this college offers specialty in areFine Art, including Fashion Design, Textile Design, Painting and Applied Art. The college has partnered with some prestigious designing schools like University of the Arts, London and the Prince’s Drawing School, London. The college further plan to foray into the university mode planning to make it a state of art facility. Why to Join International Institute of Fine Arts? 1. One of the topmost arts colleges– International Institute of Fine Artsis now considered as one of the top art design institutes in India. 2. Visiting Faculties from London– Due to the partnership of the college with colleges in London, students have the advantage of studying under some experienced faculties from colleges of London. 3. Magnificent Infrastructure and facilities– The college campusconsists of an excellent infrastructure and has all the basic amenities as needed by the students during their academics.Facilities at International Institute of Fine Arts includea well stocked Library, Computer Lab,Workshops, PhotographyStudio, ArtCafé, LectureRooms, Art Studio, Placement Cell, and Hostel with basic amenities. 4. Co-operative and supporting Placement cell– The College offers placement assistance. It has a separate placement cell to help students get placed while pursuing their academics. 5. International Exposure– Student Exchange programs are available where students can have access to the universities abroad. 6. Co-curricular activities are part of students’ yearly academic program– Extracurricular activities are a part of student’s curriculum.It not only refreshes them from regular academics but also help find out the hidden talent. 7. Conducting regular seminars: To give students an exposure to the outside corporate world the college organizes Seminars and workshops at regular intervals.